One of the most beloved San Diego spots of recent times is undoubtedly Carnitas' Snack Shack in North Park. 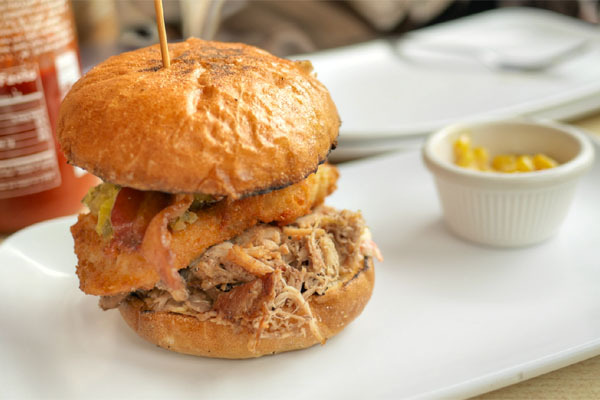 Named after the owners' pet pig, the casual eatery is the work of the husband-and-wife team of Chef/Owner Hanis Cavin and GM/Owner Sara Stroud. 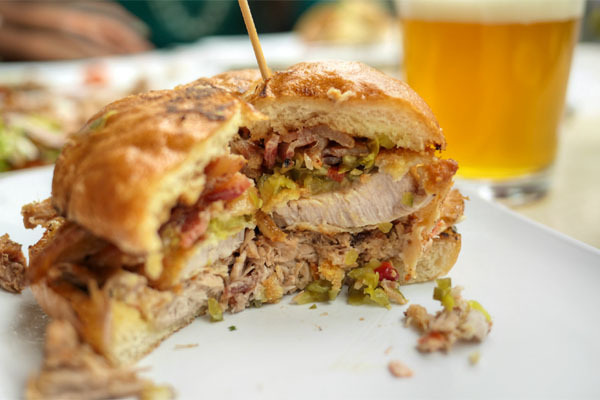 Carnitas' opened at the end of 2011 in the former Vo's Cafe address, and aims to deliver a pork-centric, casual American menu and local craft beers. 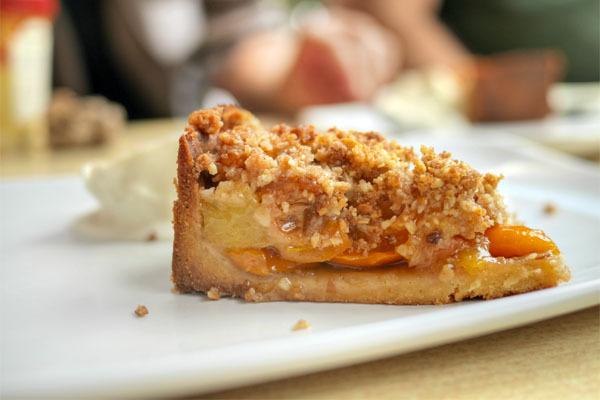 A second location, meanwhile, dropped in Del Mar last August with a larger menu and a larger space. About the Chef: Cavin was born and raised in San Diego, and after discovering his aptitude in the kitchen at a young age, enrolled at the New England Culinary Institute in Montpelier, Vermont. After graduating in 1992, he toiled at American Seasons Restaurant in Nantucket, but eventually returned to California. Cavin found work as Executive Chef at Triangles at University Towne Centre near UCSD, and in 1996, became CdC at Hillcrest's Mixx. 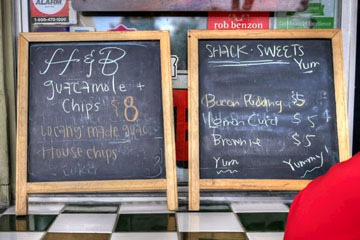 His next move was to Pacifica Del Mar in 1998, and in 1999, he joined the Urban Kitchen Group. There, he cooked at Kensington Grill and helped open its sister restaurant Chive in the Gaslamp. Cavin left UKG in 2000 to become Executive Chef at Dakota Grill, and in 2003, took on a role leading up the culinary program at the Hilton San Diego Gaslamp Quarter. In 2005, he moved to Pacific Coast Grill in Solana Beach, and in January 2007, rejoined the team over at Kensington Grill, where he would meet his future wife/business partner Sara Stroud (she was the GM; the two married at the end of 2012). Cavin stayed there until July 2011, when he would leave to start work on Carnitas'. 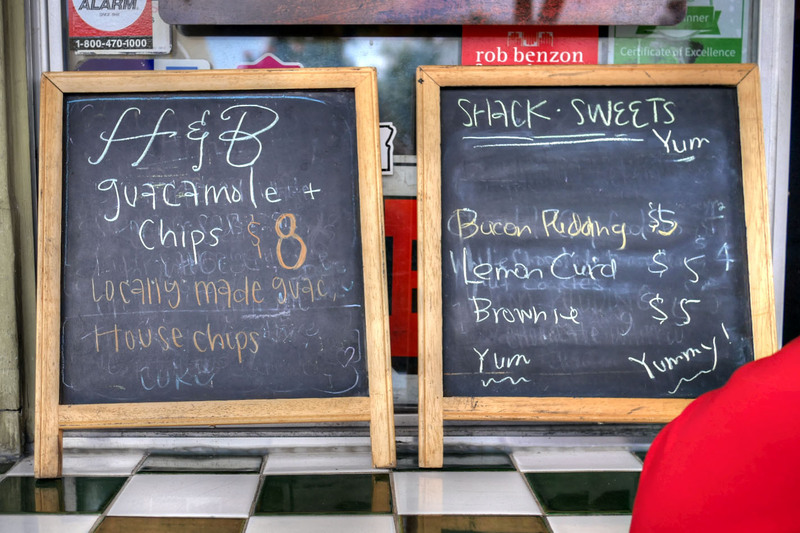 In the interim period, the Chef also consulted briefly for the Lafayette Hotel, but left mid-way through his contract, handing off the gig to Bill Gnam before debuting the Snack Shack in December. 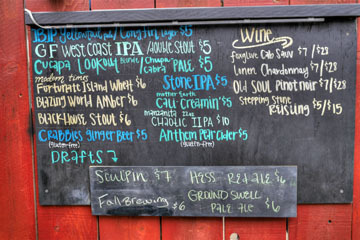 The second location in Carmel Valley, meanwhile, opened in August 2014. Ordering is done at the front counter, while the food will be delivered to you in the cozy-yet-modern, wood-swaddled outdoor seating area replete with its own bar called Pig Pen (where you can purchase booze). 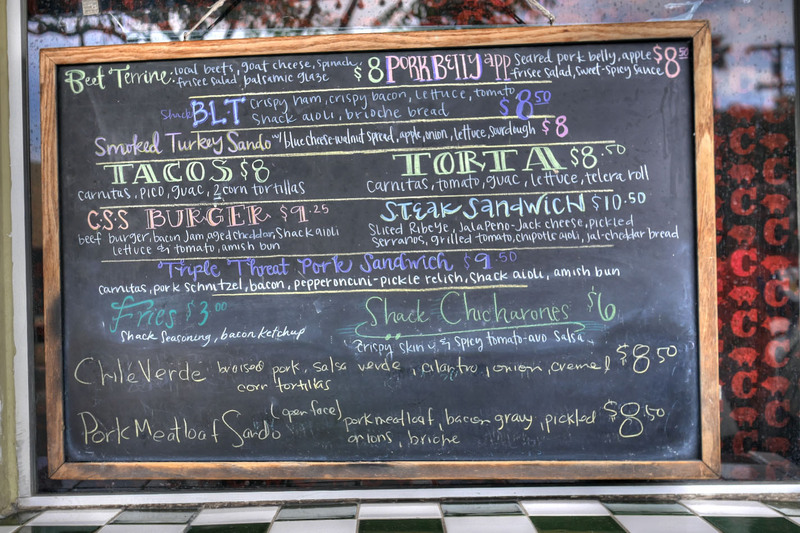 The menu at Carnitas' changes daily, though there are always a good number of standbys. 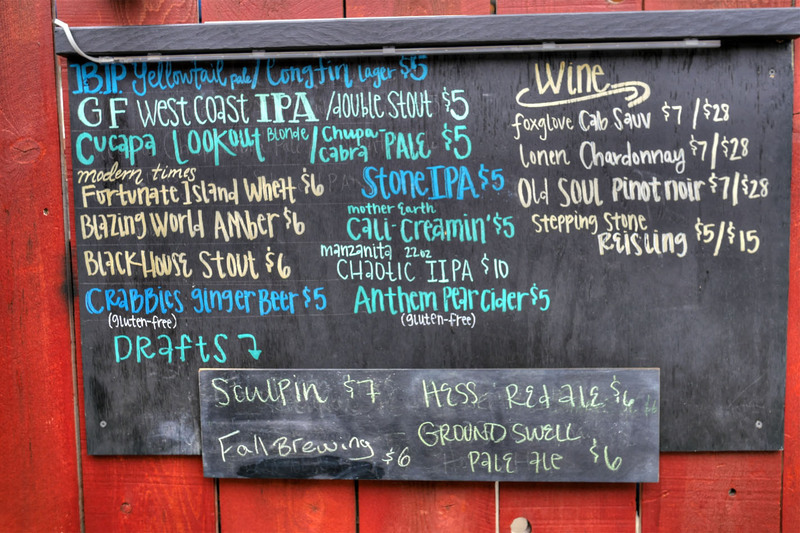 To drink, you get beers by the bottle and on tap, along with a handful of wines. Click for larger versions. We ended up BYOB'ing it. 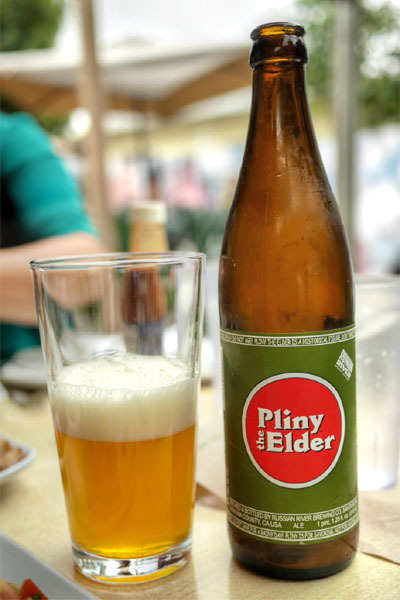 First up was a bottle of 2014 Russian River Pliny The Elder from last April that I was aging intentionally. Almost exactly a year old by this point, it was still a nice beer, not as juicy or as citrus-y as it was fresh, but still with plenty of hops on the nose and a sharp, bitter, bracing flavor profile. 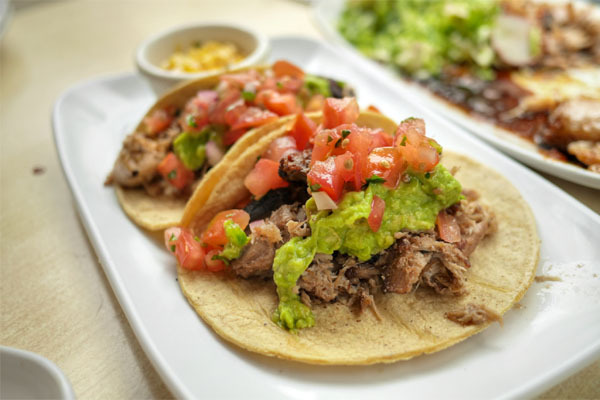 We began with one of Carnitas' most longstanding dishes. 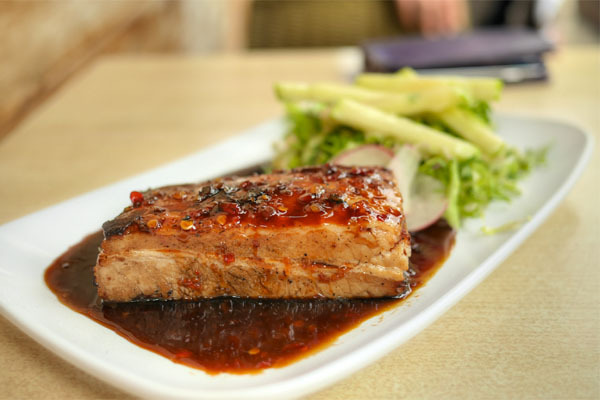 The belly was exactly as advertised, coming out tender and fatty, with crispy skin and boatloads of porkiness, the slab slathered in a sweet-ish sauce. The slaw on the side was appreciated as well, since it gave up some acidity, brightness, and crunch to cut through the meat. 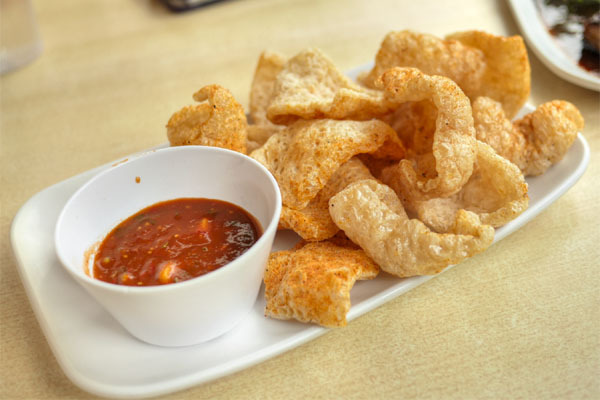 Pork rinds were superb: super crunchy, airy specimens loaded with a blend of porky savor and seasoning spice. Even better with a dab of the sweet-hot sauce on the side. 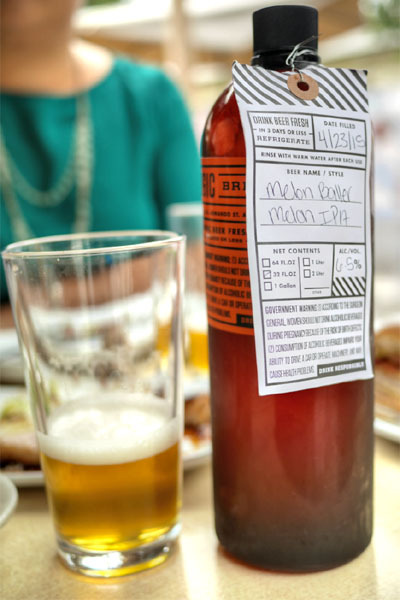 Here we had a small growler of the 2015 Bottle Logic Melon Baller. Fantastic, sweet, melon-y nose on this one; for taste, I got your signature IPA bitterness initially, but with the sweetness of the fruit lingering long on the back end. Very cool. 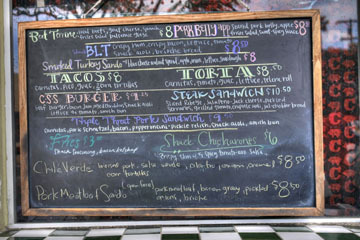 The signature tacos were arguably my favorite course of the meal. The pork arrived deeply flavored and supple, yet with delightfully charred, crispy bits mixed in. Perfectly accompanied by some guac and salsa. Delish. This pork threeway worked out rather well, with the carnitas providing depth, the schnitzel providing texture, and the bacon providing a blast of salt. Nice use of the relish as well to provide some acidity and zest. 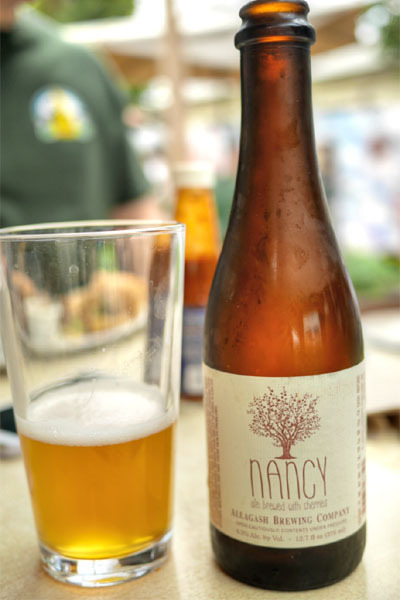 The 2014 Allagash Nancy was a sour ale brewed with Balaton and Montmorency cherries and Brettanomyces, then aged in stainless steel for about a year. I found this pleasantly tart, dry, with some bready and spicy qualities to it; I would've liked more of the actual cherry though. 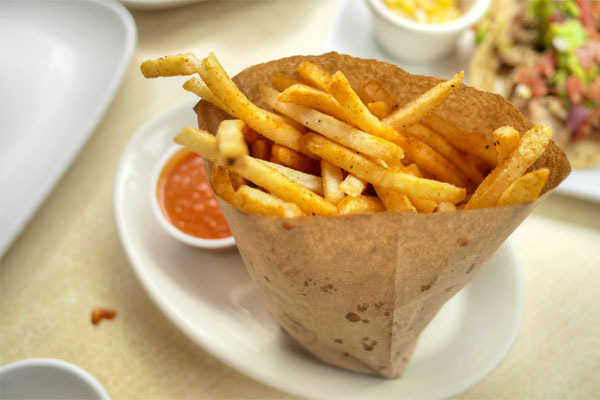 Fries were crisp and well-seasoned, tasty alone but even better with a dip in the accompanying salsa. Now for something healthier. 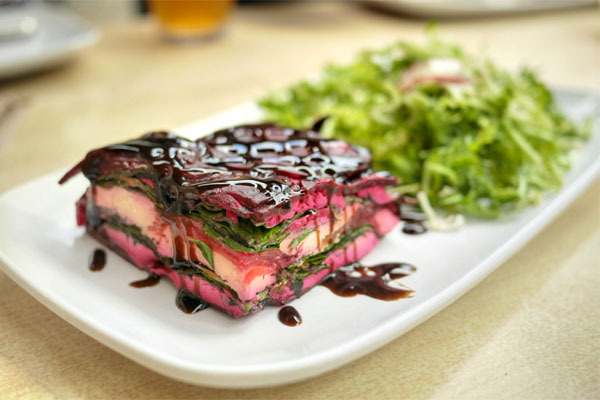 I'm no fan of beets, but they worked out well enough here, their sweetness offset by the creamy, lactic tang of the goat cheese while all the greenery added a necessary lightness to the dish. 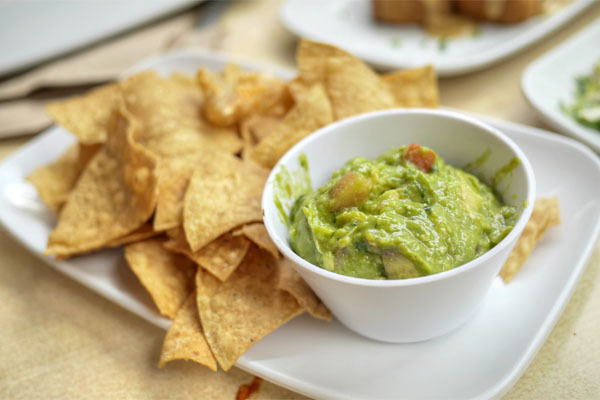 Guacamole wasn't made in-house, but was instead provided by H&B's GuacShac, a local purveyor. I was a fan of the guac's texture and how it showed off the inherent goodness of the avocado, though I wanted to taste a touch more acid, more zip. The chips, meanwhile, were just passable, and could've really been crunchier. 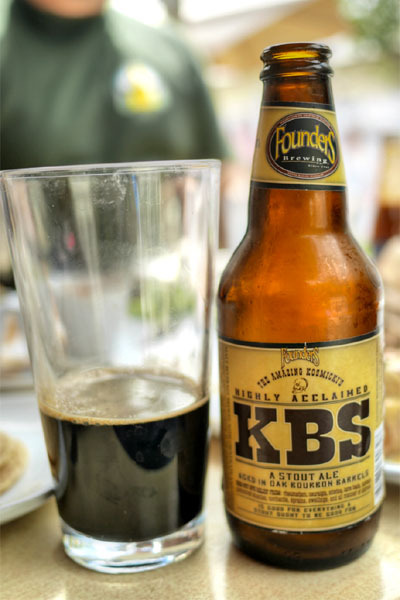 Moving on to a heavier beer now, we had here the 2010 Founders KBS (Kentucky Breakfast Stout), a bourbon barrel-aged stout brewed with chocolate and coffee. I got lots of sweet chocolate in the aroma here, which I enjoyed. On the palate, there was that oaky barrel character, but the coffee took on a disconcerting, vegetal quality that I wasn't too keen on. In this case, I definitely preferred the beer fresh. 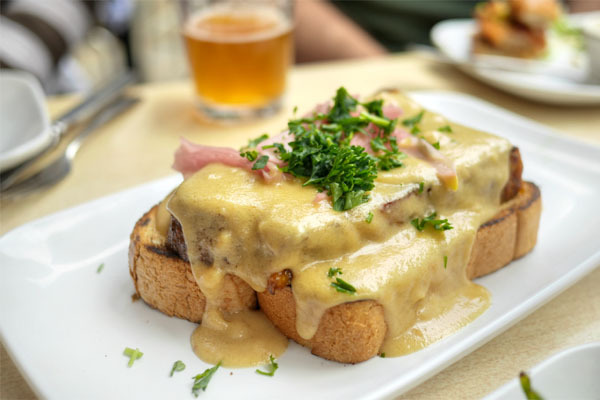 Meatloaf was dense and heavy, with hearty, porcine flavors that were amped up even further by the lushness of that gravy. I really appreciated the offsetting tartness of the pickled onions here, though I wanted less of the brioche (i.e. a higher meat-to-bread ratio). Last up was Carnitas' take on chile verde, another standout for me. The pork came out well-braised, all tender and toothsome, its deeply heartwarming flavors enriched by the dollop of crème fraîche while cilantro and onion imparted the necessary brightness. Great broth here, too. 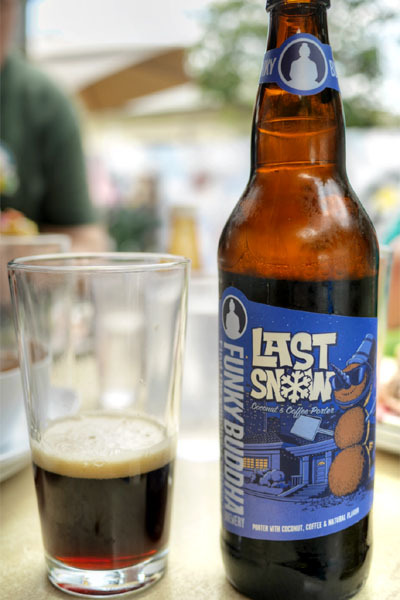 The best beer of the day was clearly the 2015 Funky Buddha Last Snow, a limited-release porter from South Florida brewed with coconut and coffee. I smelled tons of delicious roasty coconut and chocolate, while on the tongue, there was even more of that creamy, in-your-face coconut, all leading to a long, lingering finish redolent of coffee. Yum. 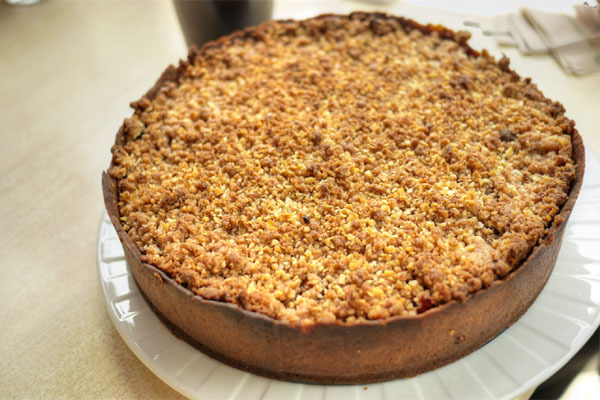 We concluded our time here with a homemade loquat tart, one that incorporated product grown right in my backyard. 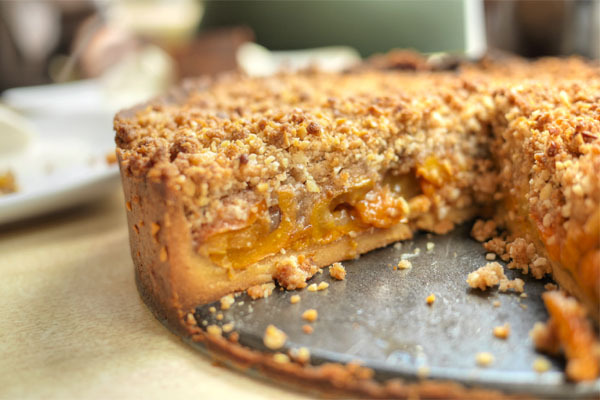 It did an excellent job showcasing the fruit, with the loquat's balance of sweet and tart nuances well conveyed against a backdrop of crumbly crust. We had a fun time at Carnitas'. The food delivered pretty much exactly what it promised: a comforting, multifaceted, approachable-yet-polished ode to pork that's pretty much perfect for the location. I can see why this place is so popular. 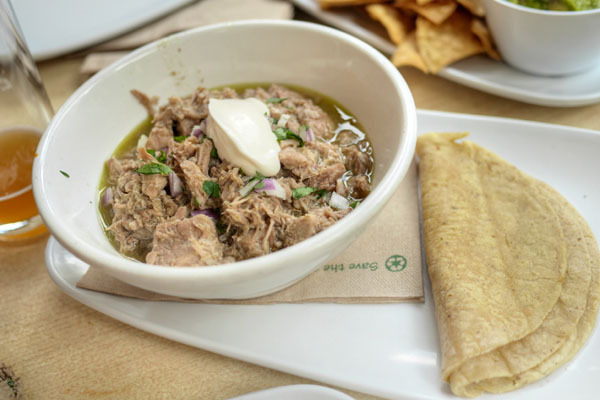 As for what's coming up for Cavin and Stroud, a third outpost of Carnitas' is due to drop on the North Embarcadero waterfront by summer's end, so look out for that. No wonder you were too full for Kaito later that evening haha. Good work as always. Indeed. I thought some room would open up in my stomach, but this food stuck with me.